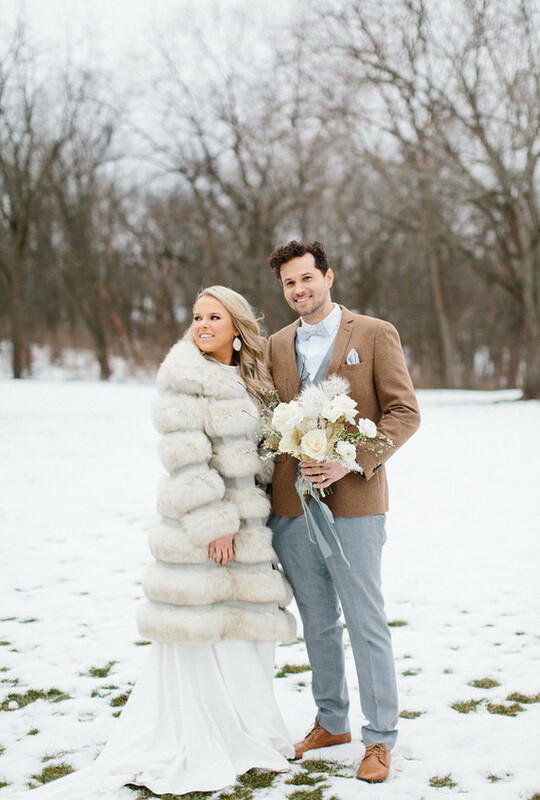 Who here’s planning a winter wedding right about now? 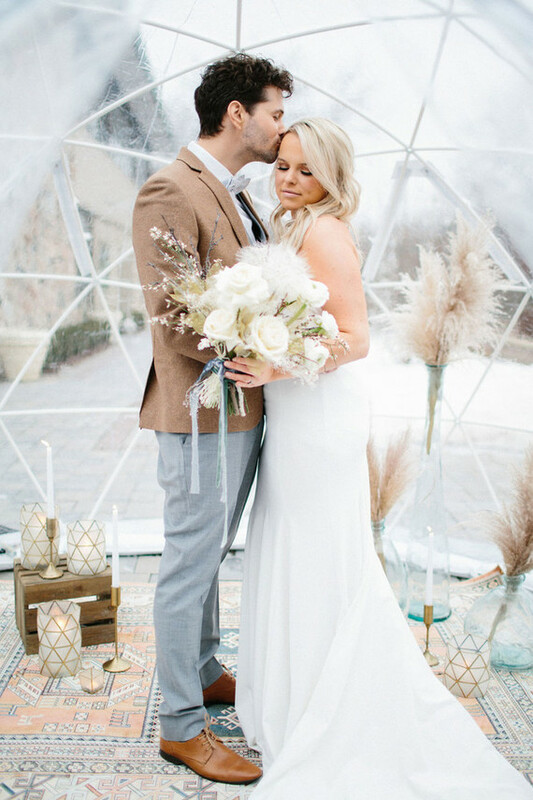 If you love the light, soft colors of spring but have a winter date in mind, these pastel wedding ideas will be right up your alley. 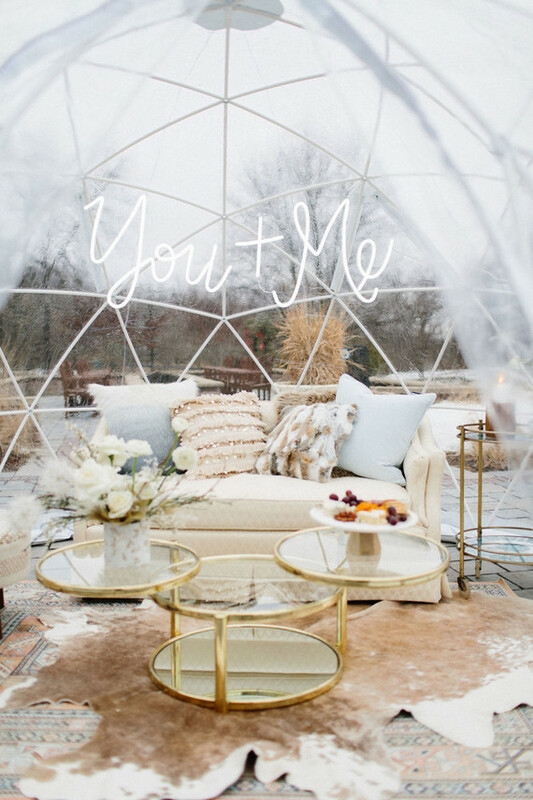 The team creating this shoot was inspired by all the “igloos” popping up during winter in the Midwest—trendy heated domes giving those in colder climates a chance to dine outdoors. 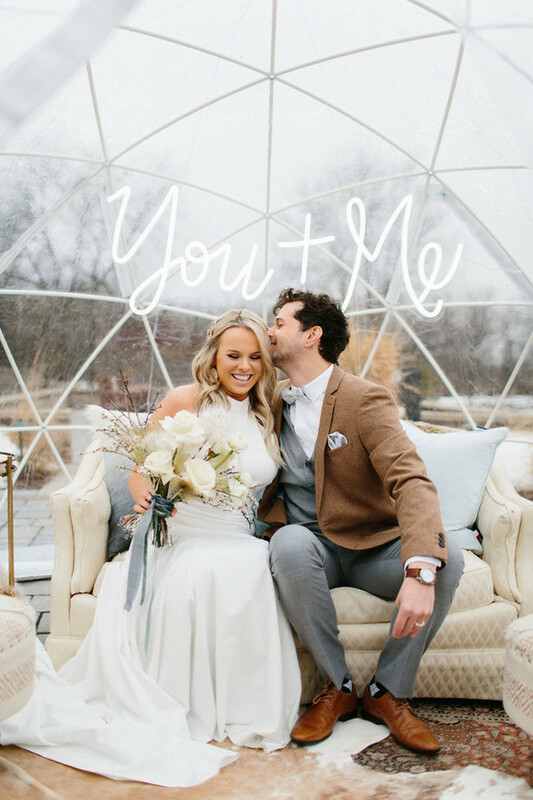 The result is a winter white shoot inspired by the shapes and textures of an ice storm, creating a cozy respite from the elements. 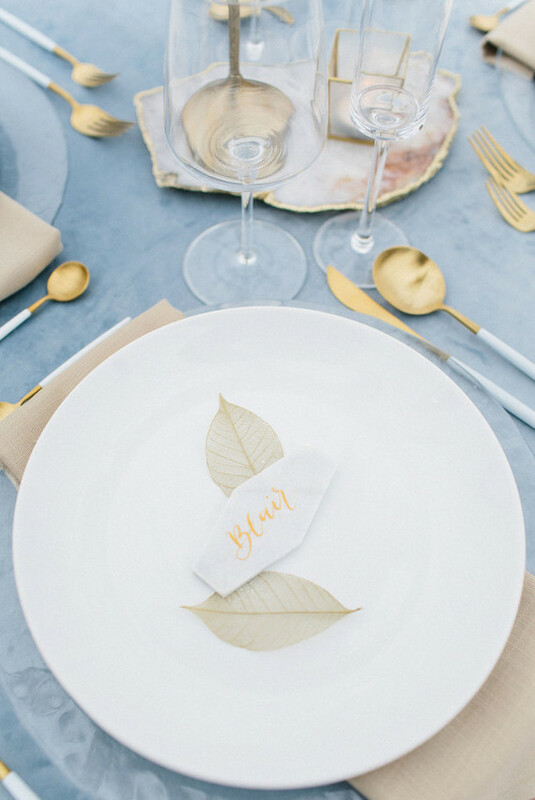 The dusty blue and white palette was warmed up with gold tones and honey accents. 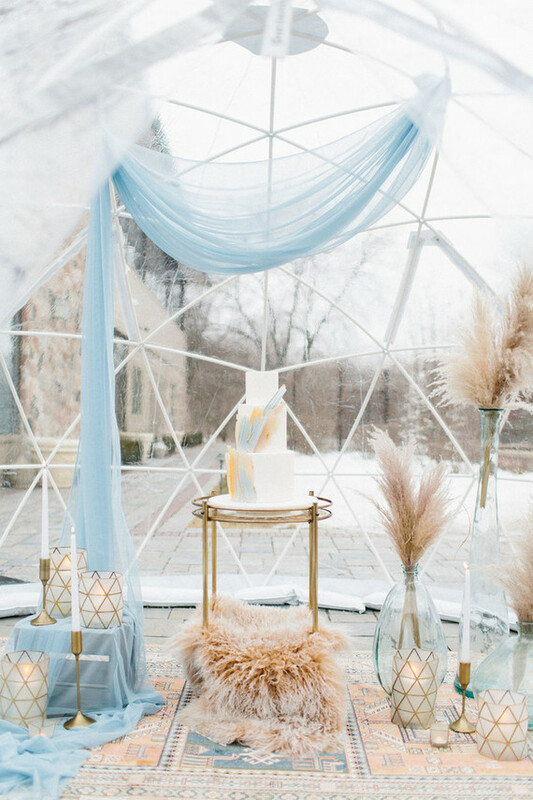 Clean lines were the focus, softened by velvet table linens, vintage rugs, hides, and furs. 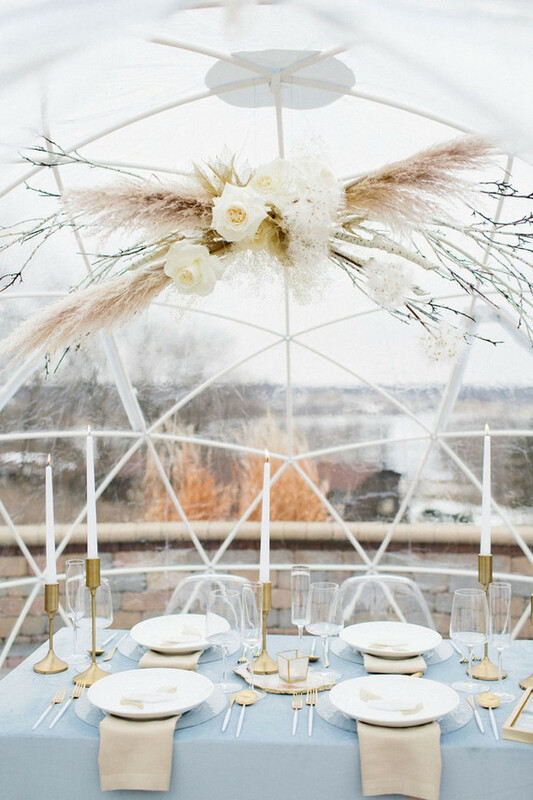 Capiz hurricanes played off the patterns of the igloo frame, and lucite chairs mimicked the transparency of the structures. The team decided to forgo a table arrangement as the framework presented a great opportunity for an overhead floral installation. This allowed them to feature a neon sign in the styled lounge, as well! 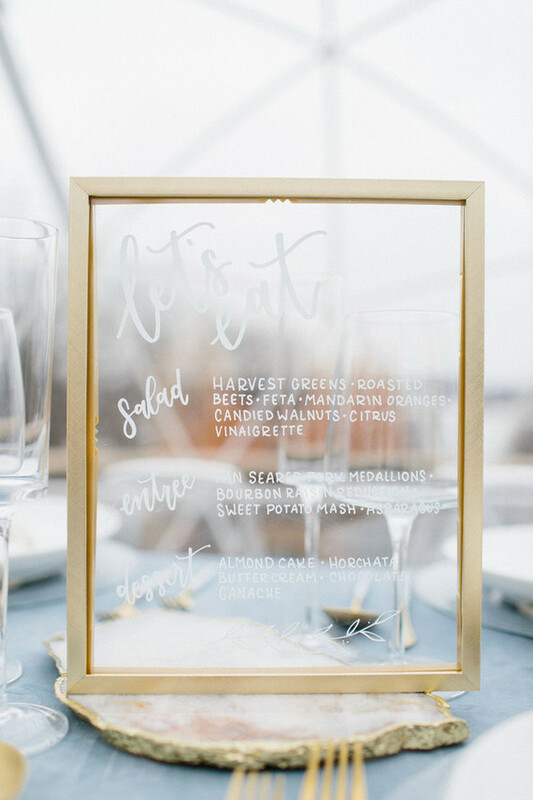 Neat elongated hexagon tiles were hand lettered for place cards, and we went with a shareable transparent menu for the head table. 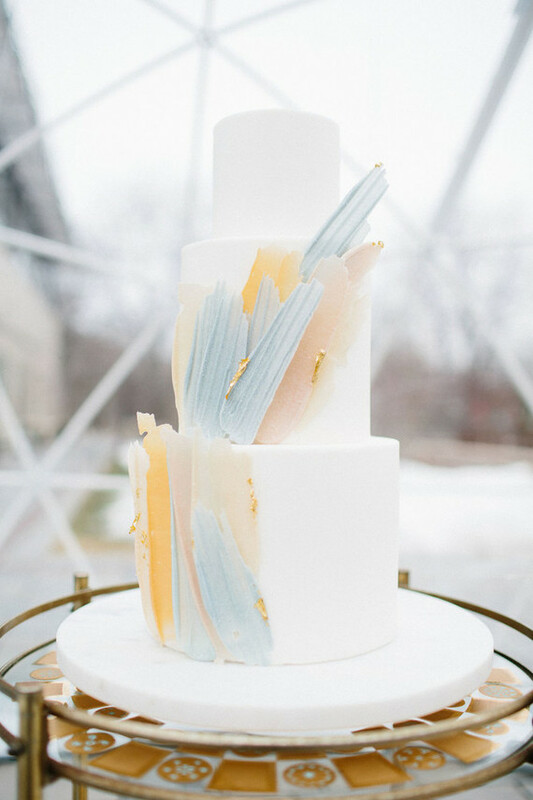 The winter wedding cake by Julie Michelle Cakes was made to look like shards of ice amongst a snow-white backdrop. The bride was wearing a clean and refined outfit – a halter neckline wedding dress, a half updo with a hairpiece. The groom was rocking grey pants and a waistcoat, a white shirt and a bow tie and a camel blazer plus matching shoes.